Cave Baradla is the most significant representative of the world under the ground, which was placed on the UNESCO List of World Heritage Sites. 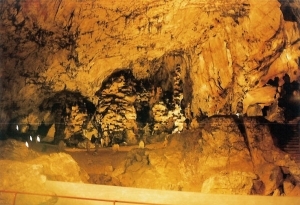 The length of all the discovered sections of the Baradla-Domica cave system is 25 km, 5,6 km of which is Cave Domica in Slovakia. 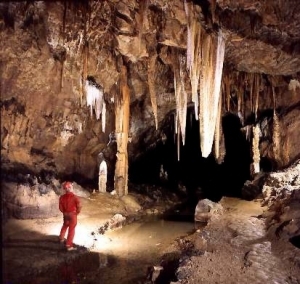 It is the most significant speleological value of the region as well as of Hungary, as it is the best-known, the longest cave, which is also the richest in formations and the discovery of which started longest ago. 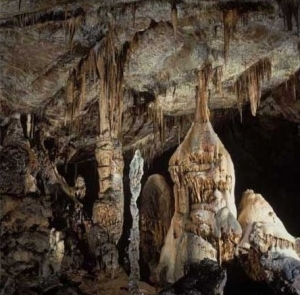 In the 19th century it was considered to be the second, in 1965 - the eighth, in 1969 - the eleventh, in 1973 the twentieth longest cave in the world. Although it has been surpassed in the world ranking these days, it still remained the most significant in the moderate zone due to its acitivity, length and richness in dripstones. Most of Cave Baradla was formed around 230 million years ago in light grey, so-called Wetterstein and Steinalm limestone from the middle Triassic period, while the section in Jósvafő was formed in black-dark grey Guteinstein limestone as a result of the dissolving and eroding activities of the waters getting into the deep layers from the surface. The cave provides a living space for several living creatures including ones that live in caves exclusively and ones that stay there temporarily. Although the research of the wildlife started as early as the middle of the 19th century, the first comprehensive study was carried out by Endre Dudich, who mentioned 262 species of the cave in his work published in Vienna in 1932. Today the number of species living in the cave is almost 500.